Place egg in a pot with enough water. Bring to a boil under medium high heat for around 10 minutes. When done, drain boiled water. Run the eggs with cold water until eggs are completely cooled. Roll the eggs between your palms to loosen the shell of the egg. Peel the eggs starting at the large end. Rinse with cold water to rinse off excess bits of shells. 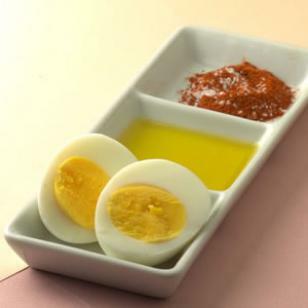 Slice eggs and place in a serving plate. Place paprika, oil and salt in a small bowl and mix well. This will serve as the dip for the eggs. One of the must try recipe in adding sweetness for your Christmas. This is also good during summer and also during hot days. Pour the milk into an ice cube tray. Keep the tray inside a freezer until frozen. Transfer frozen milk cubes into the blender. 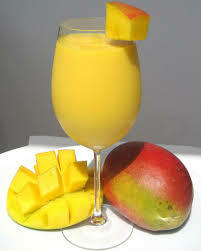 Add in the mango and sugar. Blend over high speed until very smooth and thoroughly mixed up. Transfer to a serving glass. Serve and enjoy your refreshing drink. Looking for delicious and healthy mid day snack? 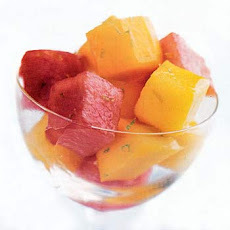 Here is a tasty tropical fruit salad that is just right for you. Combine apples, water melon, bananas and mangoes together in a medium bowl. Transfer the fruit combination into individual small bowls. Put yogurt over each bowl of fruit salad. Serve chilled or as is. This refreshing avocado Popsicle is perfect for hot summer days. Kids and adults will surely love this delicious and healthy snack item. Combine together all ingredients in a medium-sized bowl. Scoop the mixture into the paper cups. Fill each cup almost to the top. Stretch a small piece of plastic wrap across the top of each cup. Poke a hole in the plastic wrap by using a Popsicle stick. Position the stick in a standing position at the center of each cup. Place the cups inside the freezer. Keep the cups in the freezer until frozen solid. When frozen, remove the plastic wrap. Also peel away the paper cup. 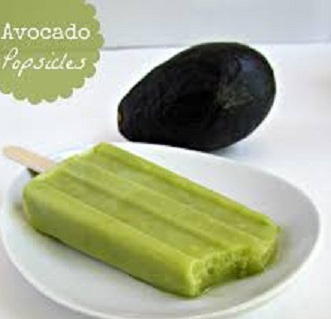 Serve and enjoy your avocado popsicles.